Shop Xerox Free shipping on supplies – every day! Take advantage of current Shop Xerox specials, promotions, and rebate offers. Get $75 cash back when you buy a set of ink sticks. Minimize your risk. Maximize your print quality. Save up to 35% on cartridges for HP & Brother printers. Save 10% on supplies with your Phaser 3610 purchase (available at checkout). Already own a Xerox printer? Find out how to get a 10% rebate when you buy a new printer. Powerful capabilities made affordable. No matter what business you're in, the Phaser 3610 delivers images that get your work noticed. Cut your paper usage and toner costs thanks to automatic two-sided printing (DN configuration), N-up printing and extra-high capacity toner cartridges. 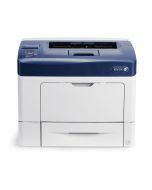 The Phaser 3610 also uses unique Xerox® EA Toner, which fuses at a much lower temperature, reducing power consumption by up to 20% and CO2 emissions by up to 35%. Secure Print keeps your sensitive documents out of the wrong hands by requiring users to enter a personal identification number at the device to print documents. Press print and the Phaser 3610 is off and running, delivering 47 ppm — the fastest black-and-white print speed in its class. Customize to your specific business needs with optional Wi-Fi or Productivity Kit. Plus, adding up to three additional trays lets you expand your work to fit different paper sizes and stocks, or extend media capacity during peak workloads. With Apple® AirPrint™, you can print from your mobile iOS device when connected to your office Wi-Fi network. And when working offsite, you can use Xerox® PrintBack to print documents back at the office so they are waiting for you when you return. Plus handle device administration remotely from any networked computer’s browser with Xerox CentreWare® IS. Product Size 15.5" x 16.8" x 12.4"
Media Sizes 3.5" x 5 to 8.5" x 14"
Want free service on your Xerox printer? 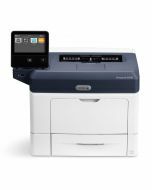 With Xerox eConcierge, get free lifetime service on your Xerox printer or all-in-one, along with easy supplies ordering. For a limited time, Xerox customers can get a 10% rebate on the purchase of a new Xerox printer or all-in-one.